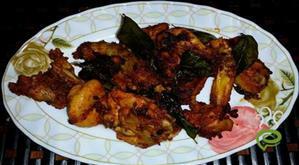 Alapuzha style tharavu(duck) curry recipe. Grind together coriander powder, chilly powder, turmeric powder, pepper powder, cinnamom pieces, cloves and cardamom pods to a fine paste. SautT onions and add ginger, garlic and green chillies. Add ground masala followed by duck pieces, vinegar and salt. Stir in the thin coconut milk. Cover the pan with a deep lid containing water. Add the potatoes when the meat is almost done. 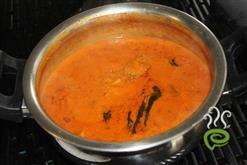 When the potatoes are cooked, add thick coconut milk and remove from fire. Add mustard seeds and when they crackle, add onions and curry leaves. Pour this into the duck curry. 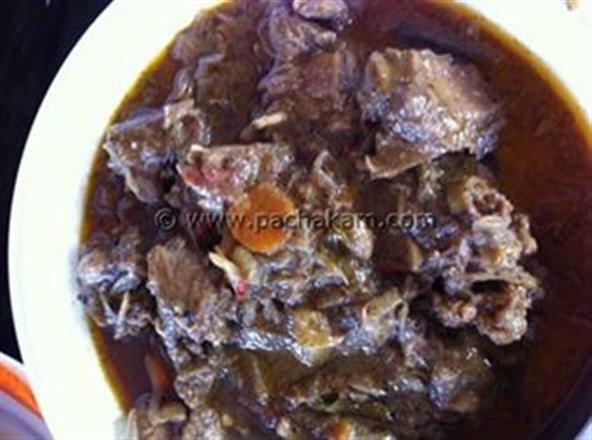 :- Serve Duck Curry hot. 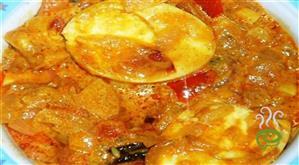 :- Enjoy the Duck Curry. Superb!!! 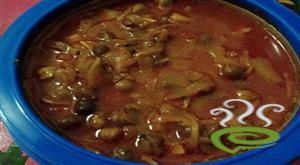 Yes it is really Alapuzha style duck curry. You made my day. Thanks a lot. Excellent dish!!!! really tasty !! Too good a recipe !! I have not tried this receipe but just wanted to now the grated coconut 2 cups mentioned in the ingredients has to be grinded along with the masalas ?? This was a really good recipe. Excellent taste!